Walnut wall mounted Chalkboard key rack with planting tray. Made in the USA. 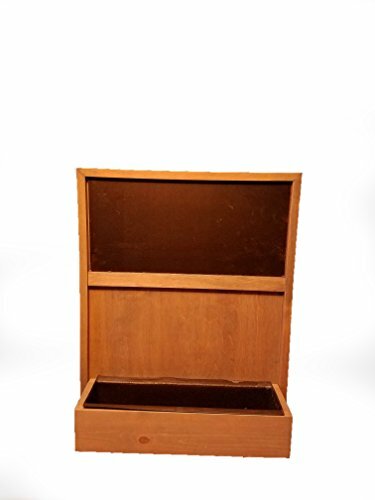 Durable Amish made wooden decor. Easy removable planting tray with cork drainage plug. Makes planting & replanting easy. Only remove the tray, plant, then reload into planter. Wooden units stays mounted. Sturdy aluminum hanging bracket included. For indoor or outdoor use.